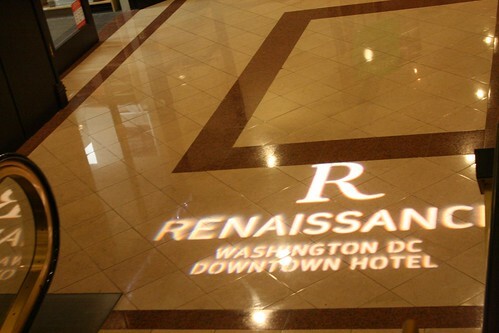 Washington Business Journal and Network Solutions organized the GrowSmartBiz Conference 2010 at the Renaissance Washington DC hotel which has a memorable address 999 9th St Washington DC. i am really appreciative of the lobby of the hotel which is very friendly for people with laptops, high tables and power plugs and free wifi with a Starbucks also int he lobby what more could geeks like me want. The conference was very successful and the hotel was a great place to have a conference.